Frequent use of your air conditioning system over the course of the year will eventually cause problems with its operation. Call the air conditioning repair professionals at Orange County Plumbing Heating & Air Conditioning in case if your AC starts to experience any difficulties in running effectively. We have over 50 years of experience servicing various configurations and brands of AC systems. Our specialists are committed to the quality of provided work and your ultimate satisfaction. We use our creativity and advanced technology to offer our customers comfortable and cost-effective air conditioning when they employ their equipment. Not enough cooling. 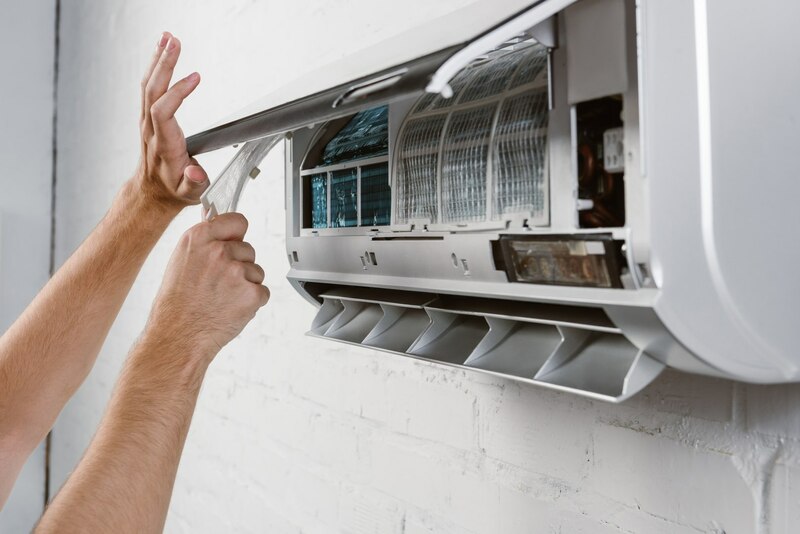 If your AC system isn’t distributing enough cooling, this problem might be caused by low refrigerant, damaged compressor or a number of other reasons. To correctly diagnose the problem, call AC repair pros at Orange County Plumbing Heating & Air Conditioning. Weird noises. If your AC system is producing a squealing, hissing noise or any other strange sound, Orange County experts are at your disposal. Air filter. A clogged air filter restricts the airflow to the AC system. We will promptly diagnose this problem and change the air filter if necessary. If any strange noises started coming from your AC or if your home isn’t getting properly cooled, contact air conditioning repair specialists at Orange County Plumbing Heating and Air Conditioning today!